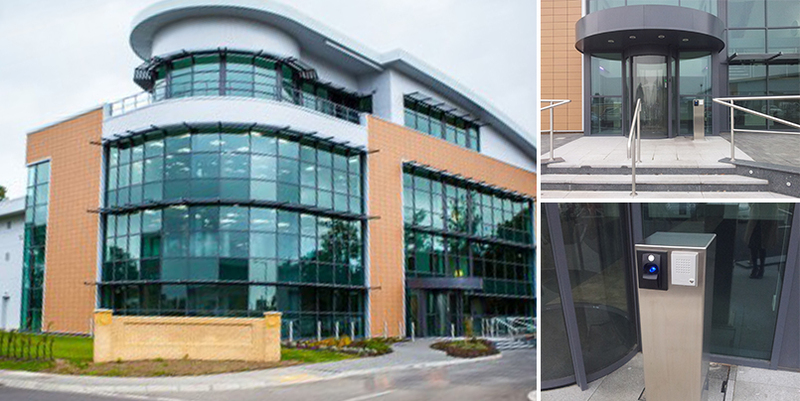 The £4.5 million Allam Marine office building within East Yorkshire has chosen the ievo biometric readers to control the buildings access. This high profile installation, completed by Cobus communications, reflects not only the reassuring reliability of both the ievo ultimate and ievo micro but also their great aesthetics making them the optimum choice for securing an office. “As the leading UK manufactured biometric manufacturers, ievo products are highly reliable and easily configurable, which made it an easy decision when deciding which biometric units to use for this client that had requested a bespoke setup. Cobus have used the ievo products in the past for a number of access installations as they have proved highly successful. This specific system involved a circlelock as Allam Marine required standard access along with secondary opening actions from dedicated readers elsewhere in the building. The system was specifically designed in order to provide the ability to “latch” open the circle lock in the event of corporate open days. The member registers their print upon joining the business. This print now acts as the identification method, replacing the traditional identification card. When the member arrives at the offices they simply press their finger onto the reader and this opens the first door of the Circlelock. The Circlelock consists of two sliding doors, which will open one after the other, creating an interlocking security booth. The access-control system is a bi-directional security door allowing entry and exit in turn.